Who doesn't like the the idea of having a lot of wealth and money? In fact, we all do. We work hard throughout the day to make money which is essential for our survival. Earning money is a herculean task but sustaining your hard earned money is tougher than that. Hindus believe that if you are able to keep Goddess Lakshmi happy and are able to attract Her to your home then wealth and prosperity would never leave you. 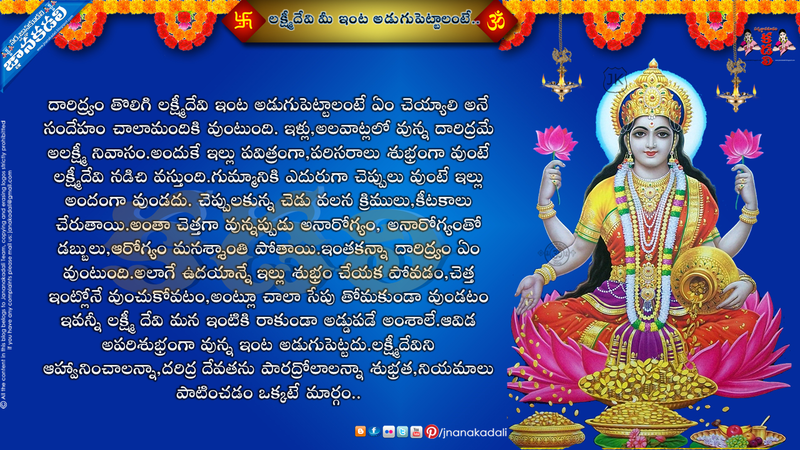 Goddess Lakshmi is believed to be the presiding deity of money and wealth. The house in which Goddess Lakshmi stays is always blessed with a lot of money and wealth. But Lakshmi is very unstable and She has the tendency to leave one house for another where She finds more devotion and comfort. ASHTALAKSHMI: THE 8 FORMS OF LAKSHMI Therefore a person has to make efforts to attract Goddess Lakshmi to his/her house. There are a few things prescribed in the Hindu texts which are supposed to be the favourite things of Goddess Lakshmi and She is attracted by these things if you keep them in your house. These things to attract Goddess Lakshmi ensures that the Goddess stays in the house and blesses the family with sufficient wealth and prosperity. Take a look at these 10 things to attract Goddess Lakshmi. Coconut is also known as the Shrifal which means thr fruit of Lakshmi. Coconut is believed to be the purest fruit and by keeping it in the house you can invite Goddess Lakshmi in. Keeping a mercury idol of Lakshmi and Ganesha in the house is considered very auspicious. Mercury is very dear to the Goddess and therefore you can attract Her by keeping a mercury idol. Cowries are types of shells which are found in the sea. Since Goddess Lakshmi is also believed to have originated from the sea, keeping cowries at home is said to attract the Goddess. It is believed that if Lakshmi and Ganesha idols are kept together and worshipped then the Goddess is pleased all the more. If the idols happen to be of silver then wealth and prosperity never leaves the house. This is a special type of conch which is supposed to be very auspicious. Since Goddess Lakshmi resides on a lotus so when you keep the lotus seeds roasry at home it is a sign to invite the Goddess to your house. Keeping a conch facing southwards filled with water will inivite the Goddess to your home. This yantra is said to have magical powers which attracts wealth. Keeping this yantra in your pooja room invites wealth in the house.. This type of coconut is ususally used in the tantra. It is auspicious to keep this coconut at home.